The NDA 701 and NDA 702 are versatile and cloud enabled Dumas Protein/Nitrogen Analyzers, able to perform precise nitrogen analysis and protein determination in just 3 minutes. 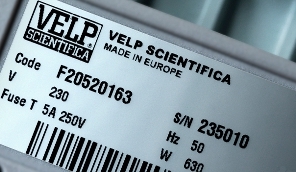 VELP is proud to present and invite you at the VELP Academy Webinar “NDA Series Elemental Analyzers Analytical Troubleshooting” in order to learn from VELP Specialist all the secrets to retrieve excellent results from your Nitrogen/Protein determinations with a VELP NDA Series combustion analyzer. REGISTER NOW TO THE WEBINAR and choose you preferred time from 2 options.